The temperature is starting to dip and that means bundling up in scarves with a hot latte in hand. It also means Sunday morning trips to the local farmers’ market to pick up fresh produce and mingle with other locals and vendors. 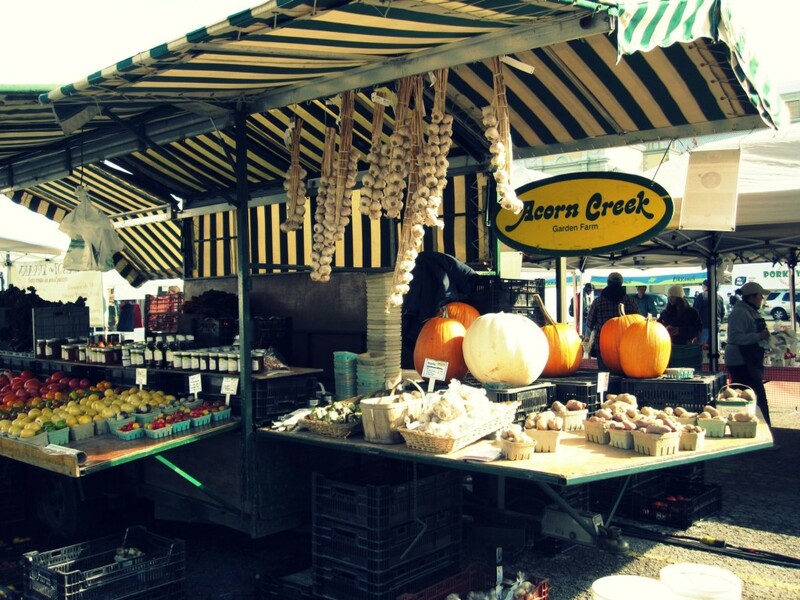 Visiting the Ottawa Farmers’ Market at Lansdowne Park in the Glebe is a must-try in the autumn season. 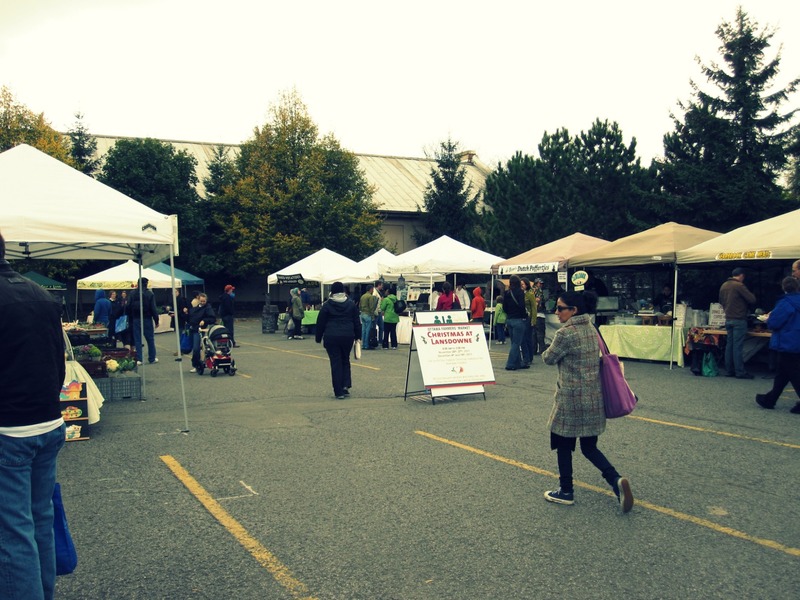 Located north of the Aberdeen Pavilion at Lansdowne Park, the Ottawa Farmers’ Market is the go to place on Sunday mornings. Taking the 1 or the 7 southbound OC Transpo routes will bring you to the front of Lansdowne Park, and just steps away from the Farmers’ Market booths. Even though the crisp autumn air is starting to get cooler, there are plenty of options of fall produce, meats, cheeses, honey and baked goods to choose from. 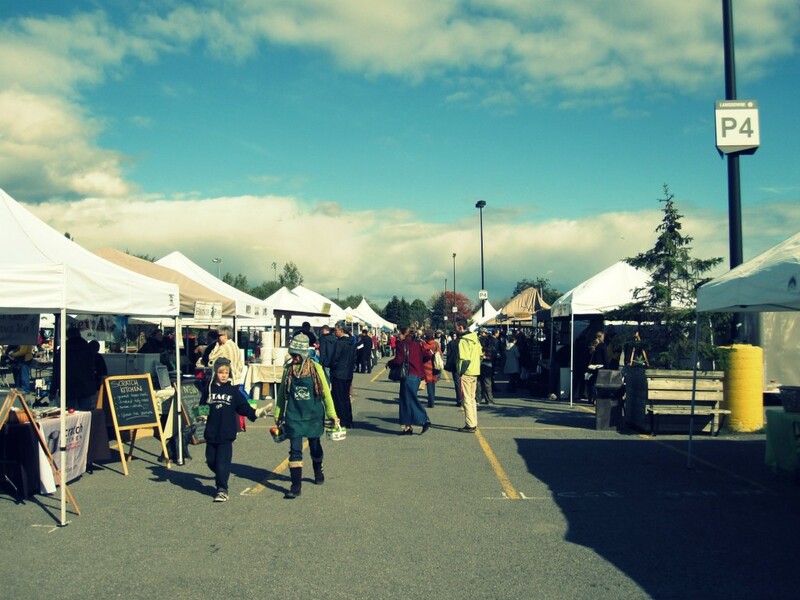 Not only is the Farmers’ Market a fantastic place to pick up delicious food, but there are also many craft booths where vendors sell charming handmade scarves, mittens and socks, perfect for birthday or Christmas gifts. With canvas grocery bags in hand, my friend and I arrived at the Farmers’ Market eager to discover what was in store for us. We immediately gasped at all of the colourful produce variety available, with potatoes, broccoli, tomatoes, peppers, cabbage, onions, corn, and carrots. In season food available included maple syrup, crunchy apples, squash, apples pies, pumpkins and cider. We also sampled coconut bread from Chamomile Desjardins, maple butter from Garland Sugar Shack and delicious Parisian macaroons from Pretty-Fours. As a first time visitor to the Ottawa Farmers’ Market, I was pleasantly surprised about how friendly the vendors were, as they offered tasty food samples and chatted about their businesses, many located near and around the Ottawa Valley. 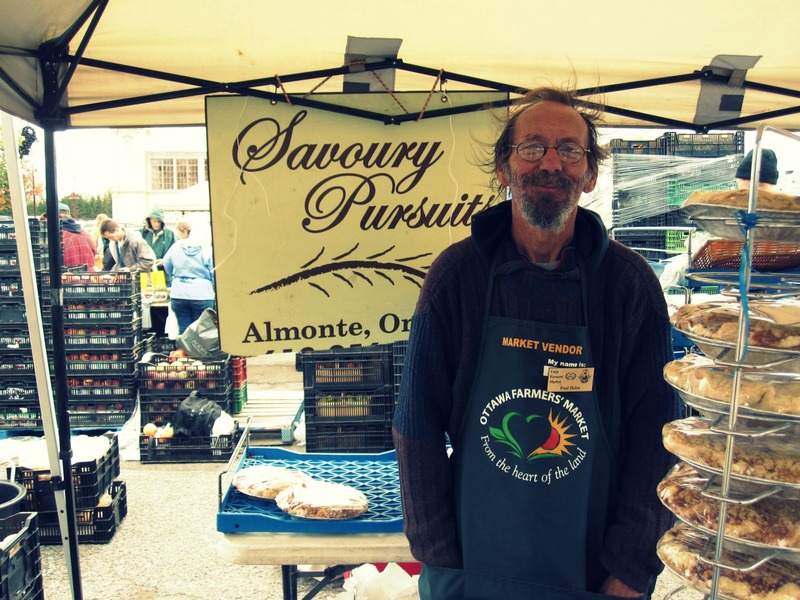 In a large and thriving city, the Ottawa Farmers’ Market provides a warm and charming small-town feel. Our favourite vendor booths were Acorn Creek Garden Farm, Savoury Pursuits, Four Sisters Food, Castor River Farm and Sweater Girl. We walked away from the Ottawa Farmers’ Market with crunchy apples, potatoes, baker’s bread, pumpkins from Acorn Creek Garden Farm, cinnamon rolls from Savoury Pursuits, eggs from Bekings Poultry Farm and mouth-watering red-pepper hummus from Four Sisters Food. We were also given brown rice and rolled oats from Castor River Farm for chatting with them and snapping their picture. After a very successful shopping day at the Ottawa Farmers’ Market, we vowed to return next Sunday morning to get our food fix again. Visiting the Ottawa Farmers’ Market makes shopping for food a fun and enjoyable experience, a nice change of scenery from a noisy and windowless supermarket. 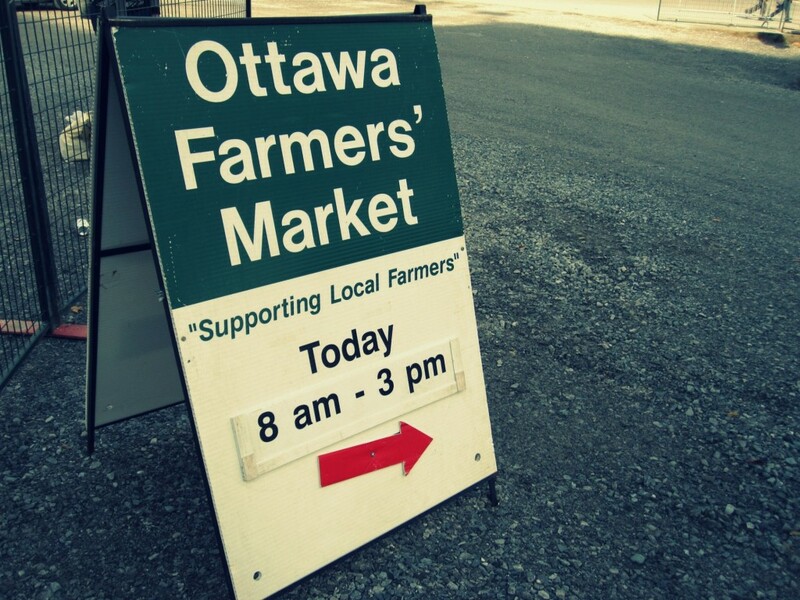 The Ottawa Farmers’ Market in the Glebe continues to take place on Sunday mornings from 8am to 3pm. In December, the Farmers’ Market will continue to happen inside the Aberdeen Pavillion. 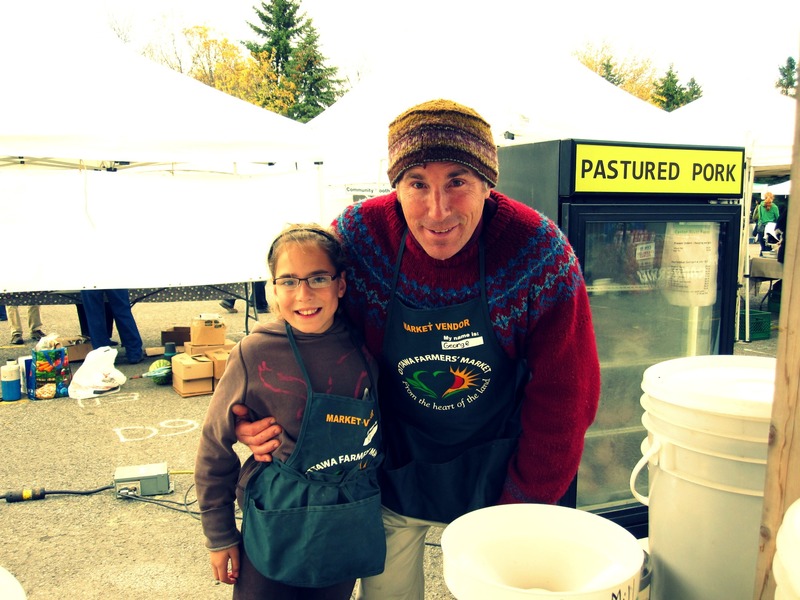 For more information on Market hours and the vendors, visit the website for Ottawa Farmers’ Market. 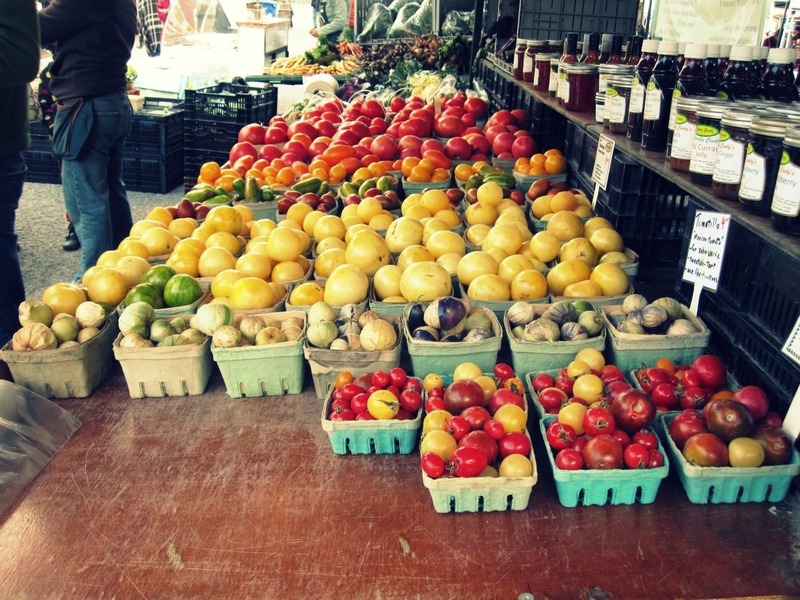 Have you ever been to the Ottawa Farmers’ Market? What is your favourite booth to visit? What is your food item to buy there?